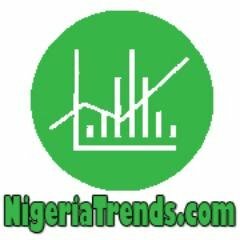 NigeriaTrends | PORT HARCOURT – For those who have been praying for years to see the murder suspects of lynched 4 Uniport Students in Aluu face justice, it has come to past as a Rivers State high court sentenced the suspects to death on Monday, July 31st 2017. “Justice has finally come the way of our children, the court has shown they were not robbers,” said Mr Toku Mike, father of Llyod Toku, one of the four students murdered in Aluu community, Ikwerre local government area, Rivers State in a mob action about five years ago, precisely on October 5, 2012. The other students lynched were Ugonna Obuzor, Tekena Elkannah and Chiadika Biringa. Justice Letam Nyordee of a Rivers State high court, Port Harcourt on Monday ruled that a Police Sergeant, Mr. Lucky Orji, David Chinansa Ogbada and Ikechukwu Louis Amadi should die for their role in the mindless murder of the four University of Port Harcout students. Four others who also stood trial alongside those sentenced to death are Saviour Johnny, Abiodun Yusuf, Joshua Ekpe and Cyril Abang. The trial Judge, Justice Nyordee said a video clip of the killing which went viral on the internet minutes after the death of the four students convincingly showed the degree of involvement of the three convicted in the callous murder, adding that the clip also showed that those discharged and acquitted were merely onlookers. It is recalled that the Police on October 16, 2012 had paraded thirteen suspected killers of the students. They were Alhaji Hassan Welewa, 59, Chief of Aluu kingdom, Lucky Orji, 43, Cynthia Chinwo, female, 24, Ekpe Daniel, 30, George Nwadei, 30, Gabriel Oche, 33, Ozioma Abajuo, 23, Chigozie Samuel, 22, Endurance Edet, 27, Uwem Akpabio, 30, David Ugbaje, Lawal Segun and Ikechukwu Lious Amadi. The following day they were arraigned before a Magistrate court in Port Harcourt on a five count charge of murder, felony, conspiracy, lynching and burning and were later remanded at the Port Harcourt maximum prison. The number of those charged before the court rose to 18. The Chief Magistrate, Mr. Emma Woke in February 2013 discharged seven of the suspects based on the advice of the Director of Public Prosecution, DPP, which indicated that they were arrested by the Police on mere suspicion. Those discharged were Cynthia Chinwo, George Nwadie, Ekpe Daniel, Gabriel Ochie, Endurance Edet, Lucky Agwurum and Finebone Jeffrey aka Soso. The trial continued for others at the Rivers state High court. Lawal Segun, ex-Sgt. Lucky Orji, Ikechukwu Louis Amadi (aka Kapoon), David Chinasa Ogbada, Abiodun Yusuf, Joshua Ekpe, Abang Cyril and John Ayuwu were charged with murder while Alhaji Hassan Walewa, Okoghiroh Endurance, Ozioma Abajuo and Chigozie Evans Samuel were arraigned for negligence. Justice Nyordee in January this year discharged and acquitted the traditional ruler, Ahaji Hassan and four others for no case submission. It was a long battle in court as the wheel of justice grinded slowly. Father of one of the students, Mr. Toku said it was as if the court sessions would never come to an end. The matter suffered several adjournments and delays in court until justice finally came for the family. Justice Nyordee in his ruling also lashed at security operatives for failing to rescue the students that sad day, saying they neglected their primary duty to the Nigerian state. Curiously the four murdered students were all first sons of their parents. Biringa Chiodiaka was a second year student of Theatre Arts department while Lyod Mike aka Big was a second year student in Civil Engineering department. Ugona Ibizor Ugonna was also a second year student in Geology and Tekena Elkanah had reportedly completed a certificate programme in the school and was waiting to be admitted into a degree program of the university. He too from the calculations would have been in year two if he had had his admission into the mainstream program. Toku, while addressing journalists after the court’s judgment advised Nigerians against mob action, saying rather than resort to jungle justice they should allow institutions saddled with the task of investigating and meeting out sanctions discharge their roles on any issue no matter the grievance. He said several innocent lives have been lost to jungle justice in the country. Sources had told newsmen that the innocent students had allegedly gone to Omuokiri Aluu community in search of a debtor to one of them when the he (debtor)who is still at large allegedly raised alarm and called them thieves who came to steal his laptop and other valuables. Without properly quizzing the students angry mob swooped on them, beating them mercilessly. From the video clips that went viral, they were apparently marched round some parts of the community before they were set ablaze. Witnesses, who gave testimonies during trial, told the court, that security operatives got to the scene but failed to stop the mob action. Late Lloyd’s Mother had told newsmen after the incident that she raced to the place from their abode in town, Port Harcourt and only got there few minutes after they had been roasted to death. She recalled that in her confused mind she knelt down before the corpse of her dead son and started singing praises to God almighty, it was then according to her it dawned on her that the boys were innocent. She said that her son had given his life to Christ before his death and even came back from church with a book for her the Sunday before he left for school. Friends of the deceased students had continued to remember them as budding musicians evil minds did not allow to actualize their potentials.